Five years have passed since Tony Manero (John Travolta, Grease), “The Fred Astaire of Brooklyn,” conquered the dance floor at the ‘2001 Odyssey’ nightclub. Tony is now among dozens of struggling dancers in Manhattan, New York. Would he ever make it as a professional dancer? 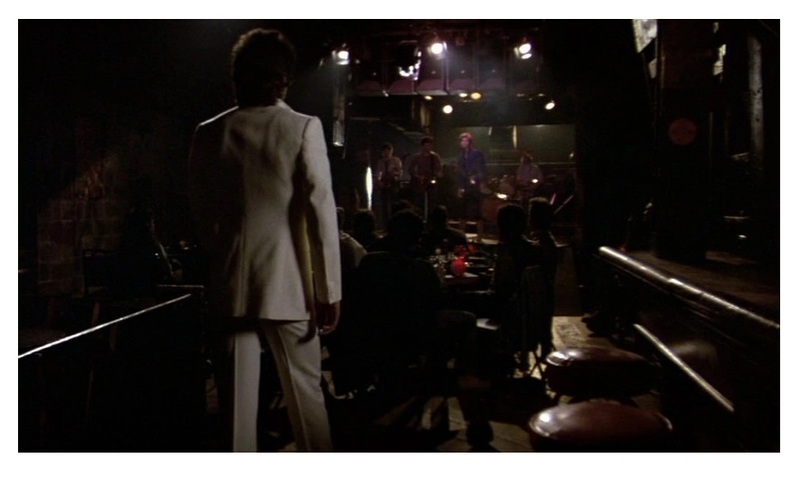 In retrospect, Saturday Night Fever was really a variation of Rocky (Rocky‘s John G. Avildsen was Fever‘s original director), with the disco’s dance floor replacing the boxing ring (both movies are about young Italian-Americans). That’s why, I think, Rocky Balboa himself, Sylvester Stallone, was hired to bring back Tony Manero to the big screen (Travolta allegedly suggested Stallone after seeing one of the Rocky movies). Stallone co-wrote, co-produced and directed Staying Alive and perhaps he was not the right person for the job after all. The difference between Fever and Staying Alive is the same difference between Rocky and its sequels — honesty was replaced with glitter. This sequel just doesn’t have enough moments of truthfulness to counterbalance its manufactured gloss. The film’s biggest problem is that the main character isn’t well-drawn so you’re never emotionally invested in him to really care. 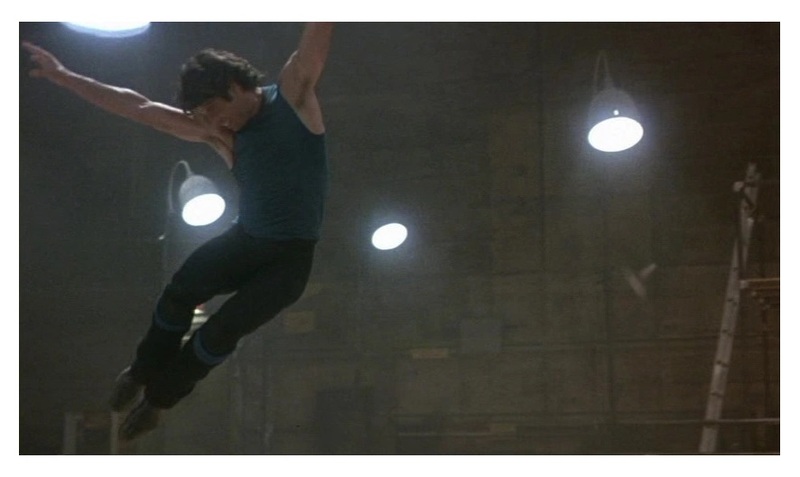 Without an emotional core, we are left with a series of dance sequences that while well-choreographed, and competently shot by Stallone, they are not all that thrilling to watch. Stallone also fails to capture New York’s unique milieu — I couldn’t help but feel that the film missed an opportunity to explore the dynamics of a very heterogeneous community. 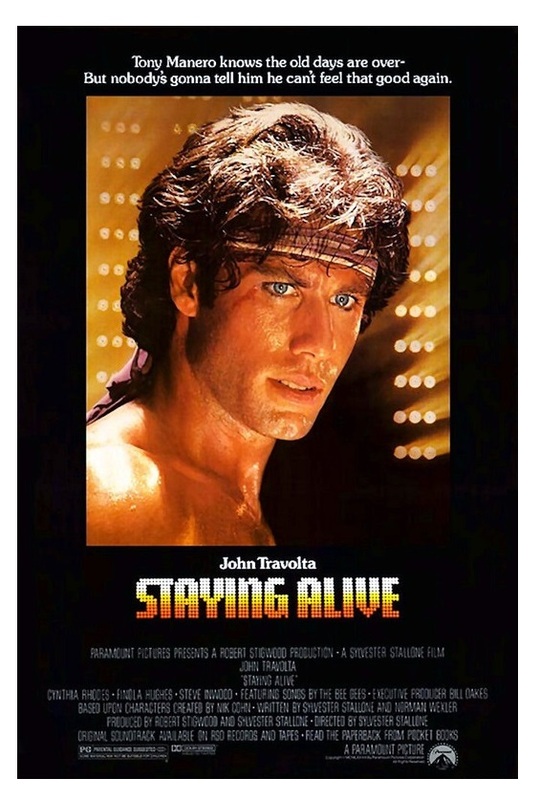 However, despite the film’s many flaws, Staying Alive “stays alive” with the help of Travolta’s endearing personality and The Bee Gees’ fantastic soundtrack. When Travolta is dancing, you suddenly forget about the many things that don’t work. The actor went through a much-publicized physical training and he does look great. The “needd-to-be-seen-to-be-believed” ‘Satan’s Alley’ musical number is strange to say the least, but I’ll admit it’s fun — especially if you love the ’80s — in a sort of campy way. In addition to Travolta, the cast includes Cynthia Rhodes (Flashdance), Finola Hughes (Above Suspicion), Julie Bovasso (Moonstruck) as Travolta’s mom, and Sly’s kid bother, Frank Stallone (he also wrote a few surprisingly good songs). Patrick Swayze has a bit as a dancer. Swayze and Rhodes would be paired together in the 1987 smash hit Dirty Dancing, which was clearly inspired by Saturday Night Fever. Staying Alive is often placed among the worst sequels ever made, but it is not nearly as bad is it reputation suggests — I’ve seen worse. It’s just totally unnecessary and pretty mindless. Travolta is good as usual, though. And The Bee Gees’ music is irresistible. Color, 93 minutes, Rated PG.